Off-site construction is increasingly challenging traditional practices in the design and construction industry. From modular systems, to more flexible prefabricated frames, there are a wide range of applications that have been used to create some of the most successful buildings of recent years. 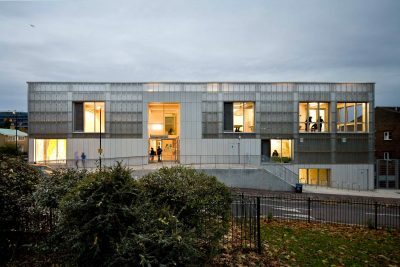 This tour will visit award winning schemes based in South East London, with input from the designers involved, to explore how such schemes could be relevant to future development in Kent. We will begin at the TNG Youth and Community Centre, guided by project architect Dieter Kleiner, RCKa Architects. We will then move on the Ladywell temporary housing scheme with a tour from architects Roger Stirk Harbour & Partners. In the afternoon we will visit the new Kidbrooke Village housing development with Berkeley Group, the developers on this project. Local Authority members, please check with your Kent Design representative. Non-members will be charged £95.00 + vat, per place, please use the booking link provided.